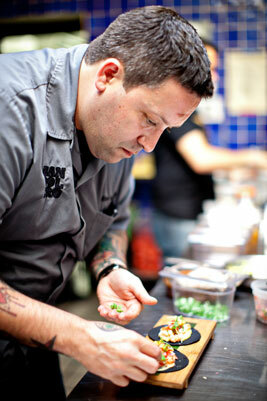 Chef Mike Isabella preps tacos in the kitchen at Bandolero, his first Mexican restaurant. Photograph by Scott Suchman. 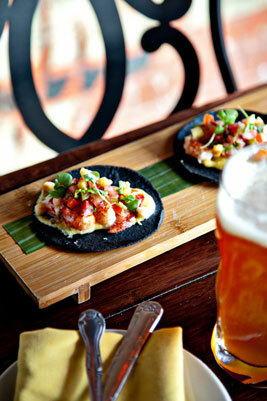 Lobster tacos with sweet corn purée are served on a squid-ink tortilla. Photograph by Scott Suchman. 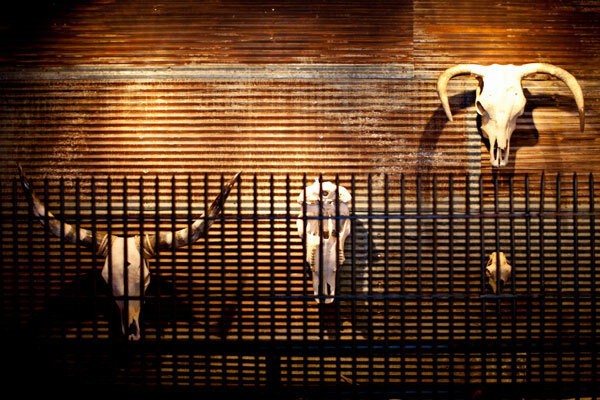 Blanched animal skulls decorate Bandolero’s walls in keeping with what Isabella calls its “Day of the Dead theme.” Photograph by Scott Suchman. 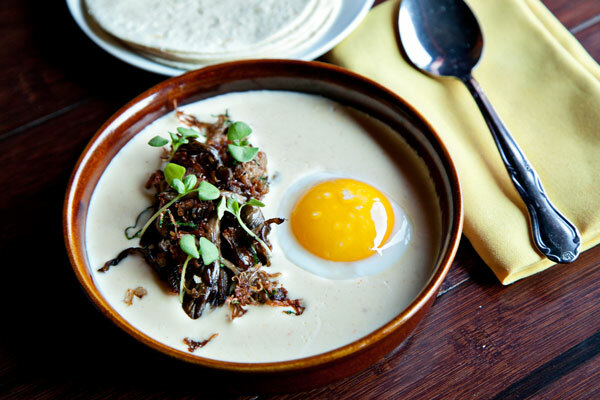 Duck confit and a sunny-side-up egg top queso fundido. Photograph by Scott Suchman. 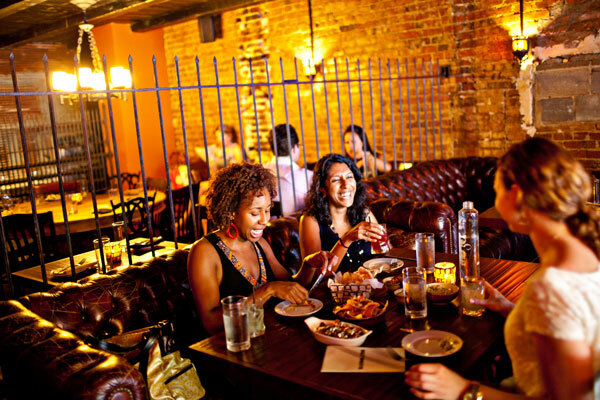 Thanks to comfy leather couches, these upstairs tables are some of the more sought-after seats in the house. Photograph by Scott Suchman. 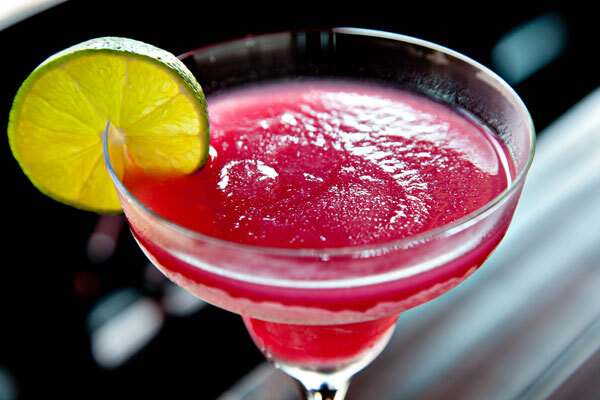 Head mixologist Sam Babcock designed a menu of tequila- and mezcal-based concoctions, including this prickly-pear margarita. Photograph by Scott Suchman.